Hub-center steering (HCS) is one of several different types of front end suspension/steering mechanisms used in motorcycles. Hub-center steering is characterized by a swingarm that extends from the bottom of the engine/frame to the centre of the front wheel instead of two forks. Hub-center steering systems use an arm, or arms, on bearings to allow upward wheel deflection, meaning that there is no stiction, even under braking. Braking forces can be redirected horizontally along these arms, or tie rods, away from the vertical suspension forces, and can even be put to good use to counteract weight shift. Finally, the arms typically form some form of parallelogram which maintains steering geometry over the full range of wheel travel, allowing agility and consistency of steering that forks currently cannot get close to attaining. The hub center steering's Achilles heel, however, has been steering feel. Complex linkages tend to be involved in the steering process, and this can lead to slack, vague, or inconsistent handlebar movement across its range. Hub-centre steering on motorcycles is not a new concept – it has existed in two-wheeled designs for nearly a century - the Ner-a-Car of the 1920s had a simple hub-centre design. 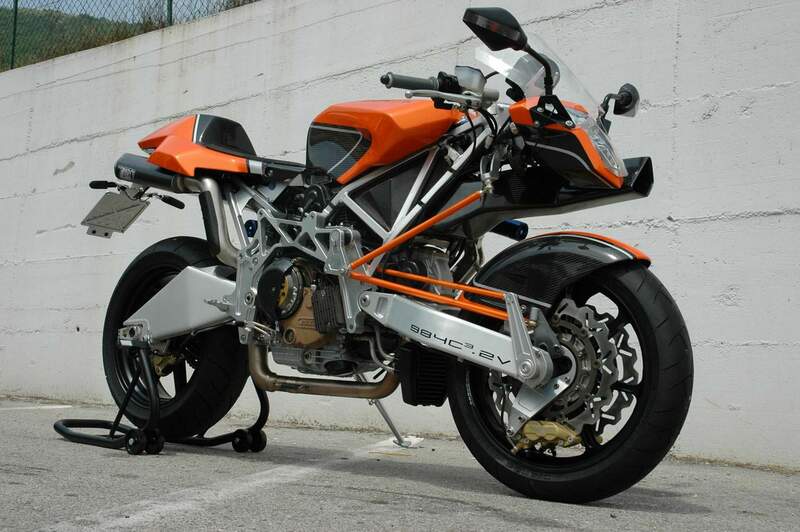 The best-known modern production example, and the inspiration for the Vyrus, is the Bimota Tesi. The Tesi 1D was introduced in 1991 under the technical direction of Pierluigi Marconi and wowed riders the world over with its radical suspension setup and high-tech components, not to mention its exorbitant price tag. Marconi had developed the hub-centre design in 1982 as a design thesis (hence the name, Tesi is Italian for Thesis). The design was based on the Difazio hub-centre assembly, which uses a floating axle riding through a king pin inside an oversized front hub. Several prototypes were built and tested through the 1980s, including one that used a Honda V4 and hydraulic steering assistance. The production version was announced in 1987 but delayed until 1991 by financial difficulties (a common occurrence at Bimota). The production model that was unveiled in 1991 ditched the V4 and complex hydraulic arrangement for a simpler approach – tuned Ducati Desmoquattro L-twin and mechanical linkages with no assist. 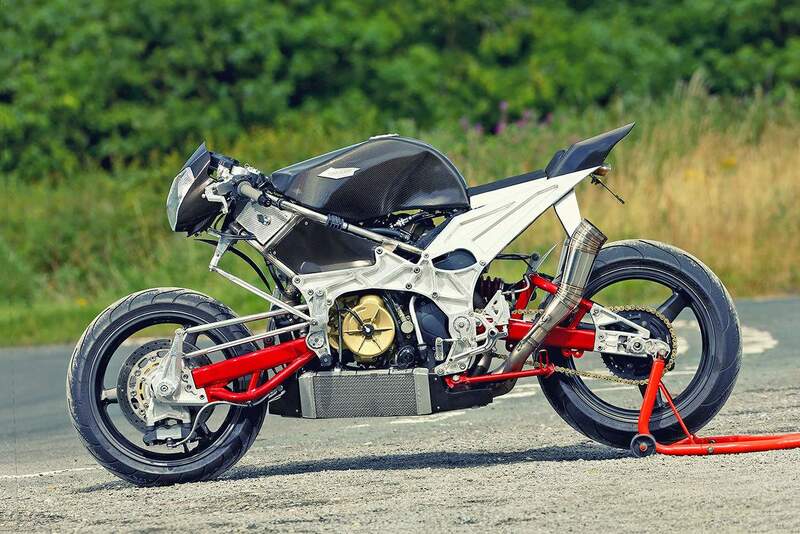 The 1D saw several updates over the years, finally finishing production in 1996 as Bimota geared up to build the infamous V-Due. The original Tesi was flawed but served as inspiration for Rodorigo who developed an updated hub-centre design in 2002. This machine would become the Tesi 2D “Millenium”, introduced in 2004-05 when the brand was resurrected (for a second time). He adapted the principles of the 1D but simplified the overall design. The engine was now an air-cooled Ducati Desmodue 1000DS twin. The suspension was refined and tweaked to improve on some of the complaints leveled at the original Tesi. 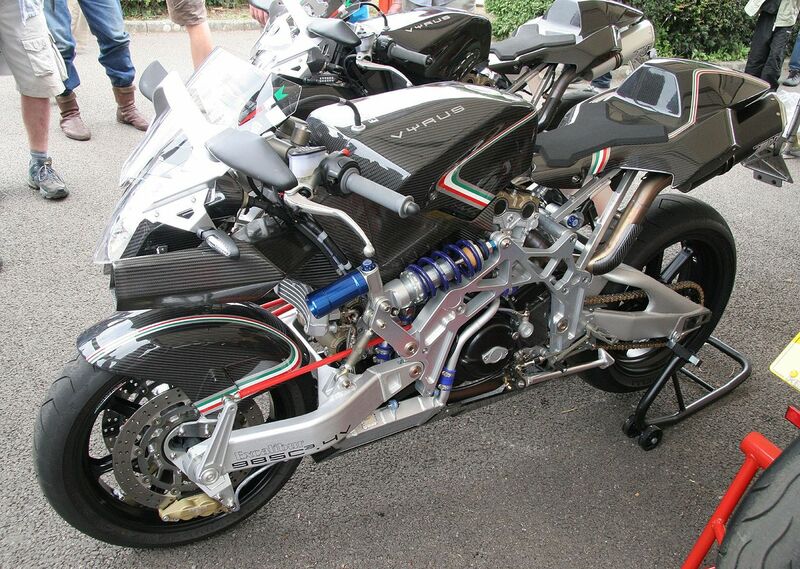 The suspension was damped by a unique springless air assist shock mounted on the side of the bike, pivoting off the distinctive Omega frame spars that used the engine as a stressed member. Styling was decidedly modern and in keeping with Bimota’s new aesthetic direction – gone were the soft curves and enveloping fairings of the 80s and 90s, here were sharp angles and naked engineering. The Tesi 2D was a spectacular industrial beauty that wore its mechanical bits on the outside for all to see.